Wahl Lithium Ion Pro Review: Is it Worth It? If you landed on this Lithium Ion review, you’re probably looking for a cordless solution to your home haircut needs. I understand your sentiments. 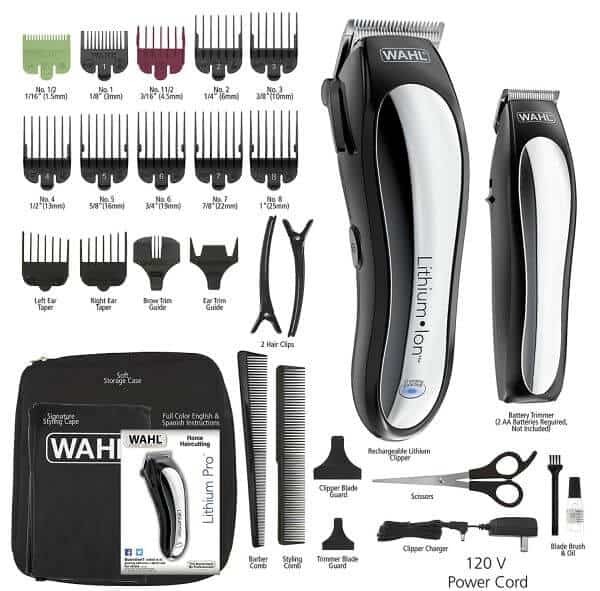 If there’s a usual “suspect” for easy, mobile haircuts, it’s the Wahl Lithium Ion Pro kit. But is it really that great? What are its strong sides? Any drawbacks you need to know about? Let’s analyze these points in this Wahl Lithium Ion Pro review so you can make an informed choice. Before analyzing the clipper’s performance, let’s first take a look at what you get. I had people writing to me concerned that the clipper itself was 2 lbs, which is quite heavy. If I were to point out the clipper’s single strongest point, that would be its battery. A 2 hour charge is crazy considering a) the clipper’s medium price and b) the “bundle” deal. Even some of Wahl’s barber-grade models don’t run for more than 90 minutes! What you’ll especially love is the so called “Quick Charge” feature. In a pinch and you forgot to charge the Lithium Ion properly? You can use the feature for a quick haircut powered by a mere 10 minute charge! Considering it charges, on average, for about 4 hours or so, you have a great charge-to-actual-battery-life ratio. Lithium Ion batteries are definitely the way to go when you also consider that they last longer than other Nickel based ones. What I mean by that is that they end up able to charge for much longer before they eventually stop charging. This will likely be after two years of heavy use before that happens. Make sure you occasionally let the battery run out completely before recharging to keep it lasting longer. Definitely an area where the Lithium Ion clipper from Wahl breaks all the records! Similar to the Elite Pro kit, you’ve got stainless steel, self-sharpening blades. They’re rust-resistant and will put out a great overall performance. Way better than the cheaper Chrome Pro set, they should do well with thicker hair types too. Even though they are self sharpening, you still want to keep the blades clean so don’t leave hair on them. Hair is acidic and will eventually dull the blades. Just wipe the hair off after you’re done using them and they will last much longer. If you haven’t touched a clipper before, the Ion pro is a great contestant for your first set. It’s lightweight, simple to use and provides you with good mobility. I think I’d put it among the easiest home sets to use, along with the Remington HC4250. That said, I’m not a huge fan of the hard plastic body here. True, most clippers – be it Andis, Wahl or Oster, will be made of plastic. However, there’s definitely a degree to their sturdiness. As I mentioned earlier in this Wahl Lithium from Amazon.com clipper review, the model’s a bit flimsy. It’s definitely not as sturdy as a Wahl Designer, for example. I’d give it a 3/5 in this regard. For some people that’s not a big deal. Others, however value shaving off a few minutes of maintenance. You probably won’t read any other Wahl Lithium Ion Pro review that mentions that since to most people it is not a big deal. And I don’t consider it a deal breaker, just something worth mentioning. Nobody can dispute the fact that Wahl are awesome with providing you accessories in their kits. Still, there’s a common weak point with most of their home kits. Indeed, that’s the included small trimmer. Now, for a lot of people the trimmer doesn’t even matter. They just want a haircut and the clipper’s more than enough. For those looking forward to the trimmer: it uses AA batteries so you have to replace them. There’s no guards included with it. And, to be honest, it can get quite noisy while also not being spectacularly precise with trimming hair. All in all, it’s a nice addition, but it’s definitely far from the quality of a good standalone hair trimmer. It’s more than good enough for use at home, but I wouldn’t consider these to be viable in a professional shop. For that matter, I wouldn’t use the clippers in a shop either as I doubt they could handle the rigors of a busy shop. In this detailed Wahl Lithium Ion Pro review, it shows the combo is an above average cordless solution for your grooming needs. The top highlight is its battery life – while other clippers run for 40 to 90 minutes, the Ion towers at 2 hours. Its ease of use is also tremendous. At the same time, it could do better in other areas. Remington HC4250 on Amazon.com is mostly for buzzcuts, but provides more flexibility/compactness and you can wash it for quicker maintenance. 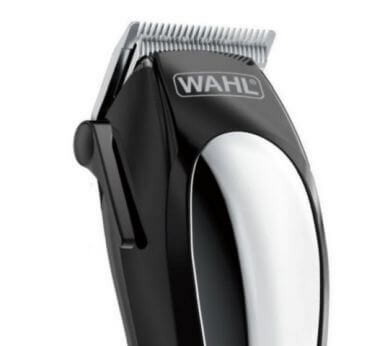 Wahl’s cordless Designer delivers more professional results with better blades and stronger motor. 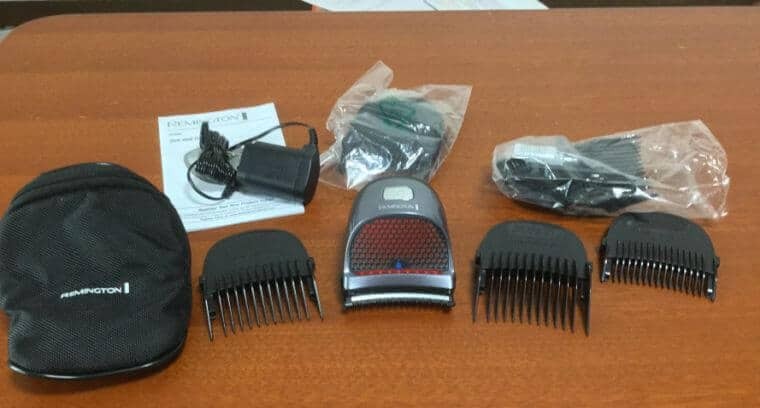 Stick to the Lithium Ion clipper kit if you value having loads of accessories and you hate charging your clippers too often. For its price range, it’s a well-rounded, all-in-one solution that justifies its popularity for the generic home user.